Redco™ Nylon SL offers a very low coefficient of friction with superior wear resistance. Redco™ Nylon SL is used for complex applications where external lubrication is difficult or impossible. Also providing in excess of 5 times longer part life than other lubricated materials. Redco™ Nylon SL offers significant savings in machine maintenance and down time costs. 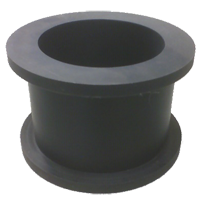 As well, it provides added assurance of part life in friction applications where other cast nylons may fail. Wear strips, bearings / bushings, abrasion pads, rollers, guide rails, star wheels (bottling plants), valve seats.